Miller Place High School recently held a food donation drive to help support families in need during the holiday season. 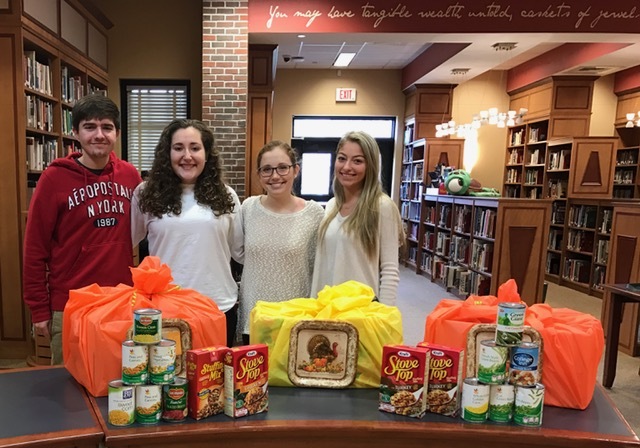 Students brought in cans and boxes of nonperishable items, and then packaged them in Thanksgiving-themed gift bags to be donated to local community members. Donated items included, stuffing, corn, green beans, butternut squash, cranberry sauce and rice. They then packaged the products in Thanksgiving-themed gift bags and donated the bags to local community members. 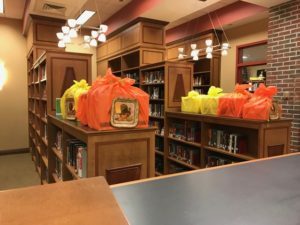 The Thanksgiving food drive was part of a Miller Place High School initiative to teach students the value of community service and recognizing what they have to be thankful for in their own lives.